Guest post by Michael Milano. Located inside the Joyful Noise Record Store in Indianapolis, The Museum of Psychphonics is billed as “the spiritual sibling of the 24-Hour Church of Elvis, the Museum of Jurassic Technology, Marvin Johnson’s Gourd Museum, House on the Rock, and of course the ever persistent siren desert song of The Thing.” Packed into a 10’ x 10’ room, the Museum is a collection of objects, artifacts, histories, and competing narratives, that have emerged from musical, magical, mystical and mundane sources. Michael Milano: Let’s start with a basic description of the Museum of Psychphonics, or even a mission statement. What is the Museum and what is its aim? Michael Kaufmann: The Museum of Psychphonics hopes to disrupt dominant cultural narratives, not necessarily by replacing them outright, but by problematizing them through the recovery and amplification of the psychphonic activity timeline. 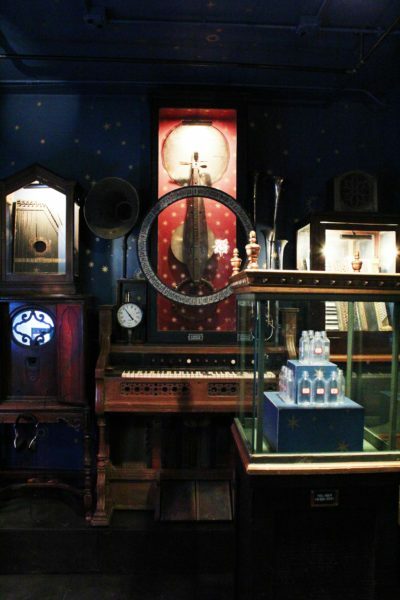 The Museum is modeled after a cabinet of wonders, with an emphasis on the intersections of science fiction, race, music and Indianapolis. The Museum has always existed, this is just the first time the objects and stories have been gathered into the same room. MM: Okay, let’s unpack that a bit. What is the psychphonic activity timeline? Or, for that matter, what are psychphonics? MK: Psychponics is the glue for the universe. Whether you embrace an origin story of the voice of the Creator speaking the universe into being, and/or the Big Bang exploding and resounding across the expanse of nothing/everything/never, now and always…our existence, our realities, our universe are built from the resounding echo of this ancient and eternal sound. Psych from the Latin psych?, from Ancient Greek ???? ? (psukh?, “soul, breath”) and phonic from from the Greek phon– (alternate form of phono-), from Ancient Greek ???? ? (ph?n?, “sound, voice”). The sound of breath. MM: So how does the sound of breath disrupt dominant cultural narratives? MK: It isn’t just the sound of breath, but the fullness of breath, in all of its possibilities and complexities. As a society we have built systems that continue to limit, edit, and narrow our experience by algorithmically feeding back to us that which we feed into this machine of mediated awareness––our subscriptions, our channels, our likes. Many of us thought the new Information Age would be a telescope or microscope, or even a window at best. Instead, this black mirror, as it has been called, is like a funhouse mirror that presents an exaggerated version of self. We come to believe in that version of self. 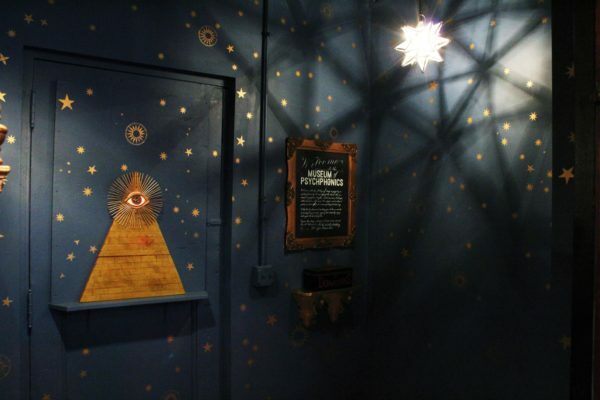 The Museum of Psychphonics offers a kaleidoscope and a kaleidophone of light and sound to expand our definitions and experiences by creating juxtapositions and calling attention to those things that too often only exist at the periphery. MM: Let’s turn our attention to some of the objects in the Museum’s collection. 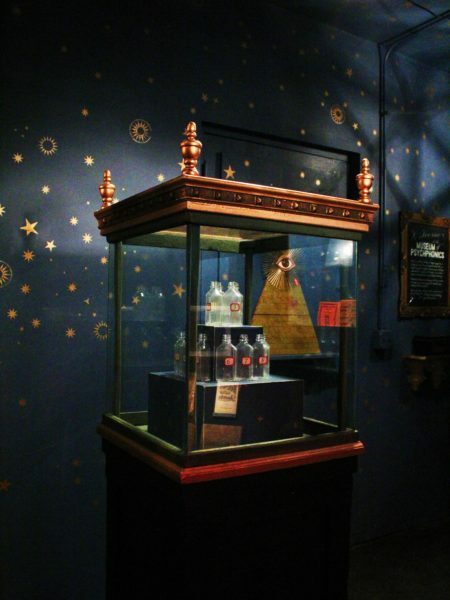 Can you give us an example of some of the things that we will encounter when we visit the Museum? And perhaps the way that these objects encourage us to have experiences outside of the “black mirror,” the self-referential/self-affirming echo chamber of our algorithmically-mediated online life? MK: With every new medium (audio recording technologies, photography, film, video, the Internet) we see the emergence of new mythology. It is like a collective unconscious allergy to the dominant narratives. The stories that survive form our histories and, in turn, our shared cultural systems. But there are other stories, and these are critical to capture and tell as well. We sense when they are missing and sometimes we replace them with new myths. Whether they are true or not isn’t important. What is important is that they are purposefully being told or not told. The Museum tells some of these stories through the objects that are charged with meaning because of their past proximity to the subjects of the stories. An ashtray from a Burger King in Kalamazoo, Michigan. Dirt from sacred sites, deemed sacred by different groups and cosmologies. Parliament Funkadelic’s Baby Mothership. The soul of Indianapolis. And now the objects’ proximity to one another attempt to tell new stories, to create new myths. 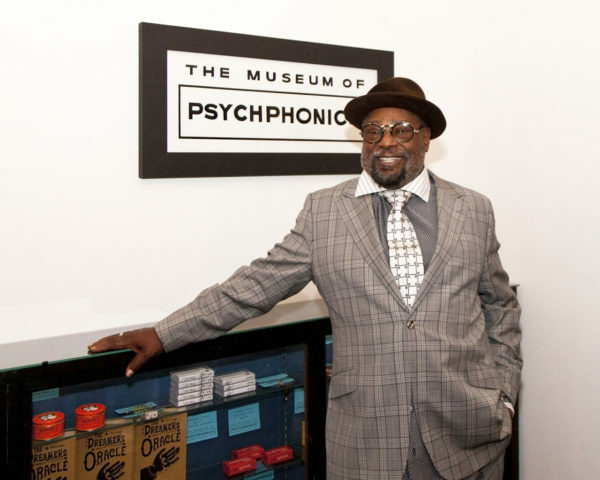 George Clinton visits Museum of Psychphonics. Photo by Tad Fruits. MM: Speaking of myth in relation to objects reminds me of political philosopher Hannah Arendt. In the Human Condition, she says, roughly, that action––doing deeds and telling stories––creates meaning for the human artifice; without being talked about and acted with/in, the world is merely a heap of unrelated things. In other words, it is narrative that makes meaning out of the world of objects. To my mind, many of the objects in the Museum require a similar reliance on narrative in order to take on a patina of significance, and become relics and artifacts. Is this what you mean by mythology? Or do you mean something more spiritual and/or mystical? Do you believe that the objects are imbued with their own significance, or that they take on significance because of the stories we tell about them? Are these even the kinds of questions that the Museum is interested in taking up? MK: That is an excellent question, and perhaps at the heart of the Museum. I don’t think it is an either/or but rather a both/and. Let’s take the sacred dirt for example. Robert Smithson’s Mirror Displacements are a good parallel. I do believe there is a spiritual/mystical component to Smithson’s work by disrupting the “natural” landscape both through his interventions, but also through his physical collection of material from these sites and later placement in the gallery. I don’t see such a divide between conceptual, physical, spiritual, and mystical. These are all different ways of interpreting our humanity within time and space. Our decision to select and place these items within the Museum gives them a heightened energy/significance/meaning. That is the dangerous accountability that comes with curation. Curators are storytellers. Museums are libraries for these stories. MM: Nice. I like the idea that curators are storytellers, and that museums are merely libraries for these stories. I was going to ask why call the collection a museum. 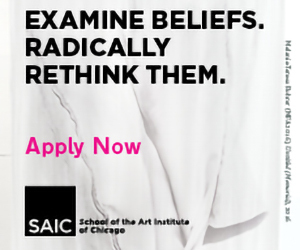 So, how does the Museum fit within a broader context? 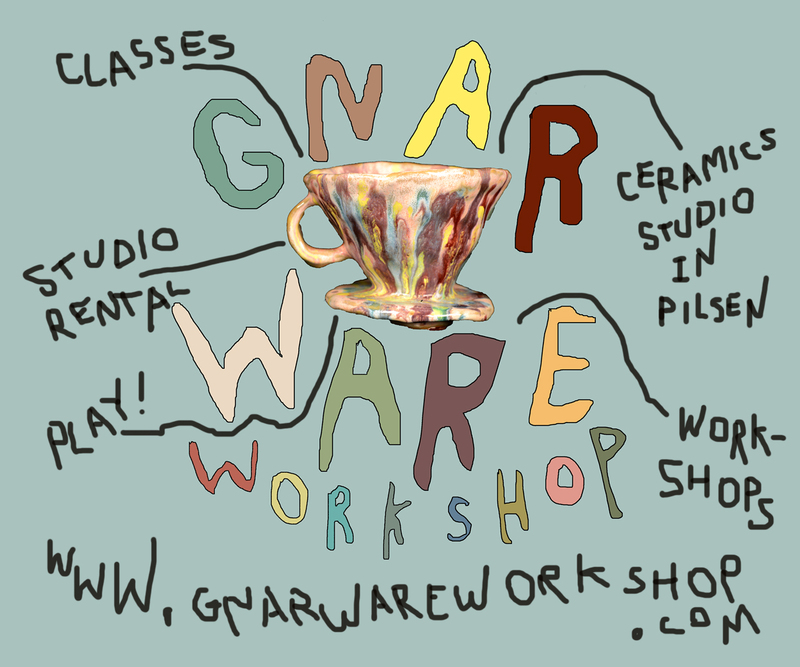 Geographically, it’s a small room within Joyful Noise, within the Murphy Building, within Fountain Square, within Indianapolis, within Indiana, within the Midwest, etc. How is this an appropriate site for the Museum? Could you also contextualize it in relation to other alternative museums, cabinets of curiosities, roadside attractions, etc.? MK: The context is both thematic and strategic. I will discuss these in concentric circles. Joyful Noise Recordings is at the forefront of asking questions about music and materiality. Their limited edition products and digital dissemination understand the paradox of today’s consumer. This longing for instant and universal access in tension with wanting to be part of a community, something smaller, and to be a collector of the unique and handmade is what is defining how we move forward into the future of cultural consumption. And Joyful Noise also celebrates the weird and the wild of music, so, stylistically, they are an extension, or branch, of the larger tree of psychphonically significant cultural movements. What is strategic about the location is the ability to set up a museum that requires no staffing or board of directors. It is housed behind the counter of their record store, providing convenient staffing for the Museum without extra cost or hassle. The Murphy Building and Fountain Square have served as the city’s ground zero for experimental art and music for over a decade. Therefore, this felt like a natural fit as well. And to your question about Indianapolis, Indiana. It is no coincidence that this is where the Baby Mothership has landed. Indiana is an approximation of the rest of America, and Indianapolis is the prototypical American city. Now, I don’t mean to say that Indy is not unique or differentiated from other mid-sized cities in the U.S., but if something doesn’t work in Indy, it won’t work anywhere. This city is a laboratory. It is a battleground for ideas. It is truly the crossroads and, from these crossroads, ideas and movements can permeate outwards to the rest of our country. 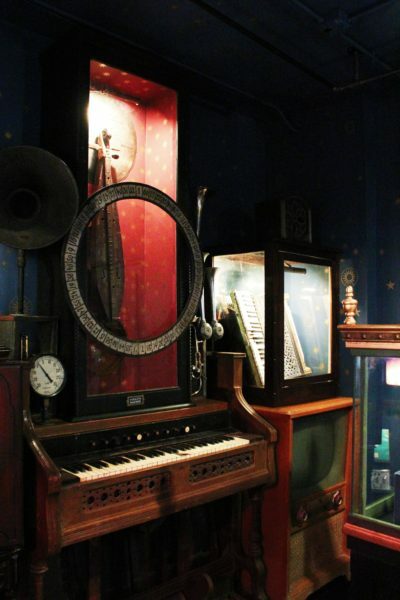 Now, as far as other museums and attractions are concerned, in our press materials we have called reference to contemporaries such as the Museum of Jurassic Technology, House on the Rock, 24 Hour Church of Elvis, etc. But we are really drawing from a deeper tradition of individuals such as Charles Wilson Peale and P.T. Barnum. Regardless, the common theme is a curatorial philosophy that leans more towards speculation and open-interpretation than overly oppressive taxonomic and didactic assumptions. MM: The Museum has already released a Didactic, designed by the wonderful folks at PRINTtEXT, as well as the Dreamer’s Oracle, produced by Yonder Bound. I know that the Museum only just opened on March 4, 2016, but could you speak to its future? What else is on the horizon? MK: The Museum is in the on-going curatorial care of artist/archivist Kipp Normand. It will continue to evolve under his direction. We are also in the planning stages of putting on performances and other programming, like any responsible museum should be doing. We have a long-term agreement in place with Joyful Noise, so we will stay put for the next couple years and wait and see what the future will bring. Bad at Sports-ers in Public?